Equifax says consumers concerned about the company's massive data breach will be able to freeze and unfreeze their credit at will and not pay a fee. In his testimony before a House subcommittee Tuesday, former Equifax CEO Richard Smith listed the new tool among other free remediation tools the company is providing to consumers to help them protect their identity, but he did not elaborate on it. A credit freeze prevents anyone from accessing a consumer's credit report, so an identity thief who has stolen the victim's Social Security number and other identifying information would be unable to open a fraudulent credit account because the lender would be unable to pull the credit file. The credit file could only be unfrozen with the consumer's permission, making the credit freeze among the strongest identity theft prevention measures that can be taken. 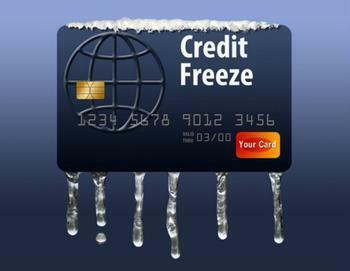 Normally, the consumer pays a fee to freeze the credit file and another fee when it is unfrozen. Equifax has disclosed few details of the tool, other than to say it hopes to have it available by the end of January. In an email to ConsumerAffairs, a company spokespereson said additional details would be provided closer to the launch date. Security and identity theft experts have different opinions about whether a simple, easy-to-use tool to freeze and unfreeze credit is a good idea. Some have backed the idea, saying that hackers will have a harder time stealing identities if more consumers are freezing their credit files. But Eva Valasquez, CEO of the Identity Theft Resource Center (ITRC), thinks the process should not be so simple and quick that it becomes vulnerable to hacks. "I hope that the solution that industry proposes is not more automated technology," Valasquez told ConsumerAffairs in an interview last month. "Because the process of establishing who you are goes through several steps, and we should appreciate that it's going to take a little longer." Whatever form the freeze tool takes, it won't be a complete solution. That's because it will only freeze one credit file -- the one managed by Equifax. Consumers also have credit files with the two other credit bureaus, Experian and TransUnion. There will still be fees to freeze and unfreeze those files. Valasquez says ITRC has launched an online petition urging Experian and TransUnion to also waive fees when consumers freeze and unfreeze their credit reports.